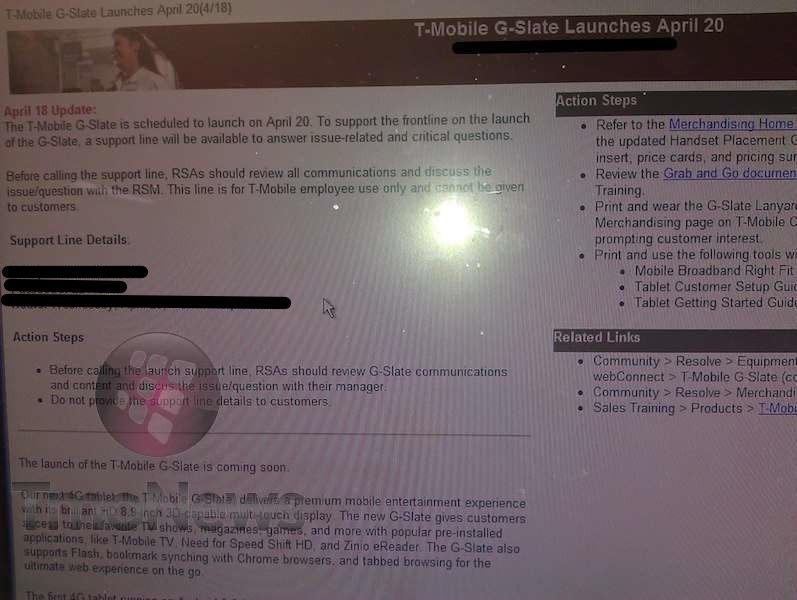 It's not the first time we've seen this date thrown around, and it would certainly make sense given the fact that two of T-Mobile's other flagships - the G2x and the Sidekick 4G - are also launching on 4/20. However, we must express some skepticism given the fact that, well, we're two days away from the 20th, and T-Mobile has yet to issue a press release, let alone put the tablet up for pre-order. Still, we're certainly not dismissing the possibility - TmoNews seems confident in the rumor's legitimacy (they even call it an "official" announcement), so we'll just have to wait it out and see what move Magenta ends up taking.